Jr. Vet., 7/22, Baby Burro Week - Old McDonald's Farm, Inc.
Donkeys (burros in Spanish) are Equines, but they ARE NOT horses or ponies! They are a very different breed, indeed. Spend time with our Uncle “Ruffy” donkey as well as our new baby, “Catania” donkey girl. Learn how to care for their very different, health needs and feeding needs also! If you have ever thought about becoming a veterinarian, then this is the class for you. Learn the diagnostic plan that Vets. 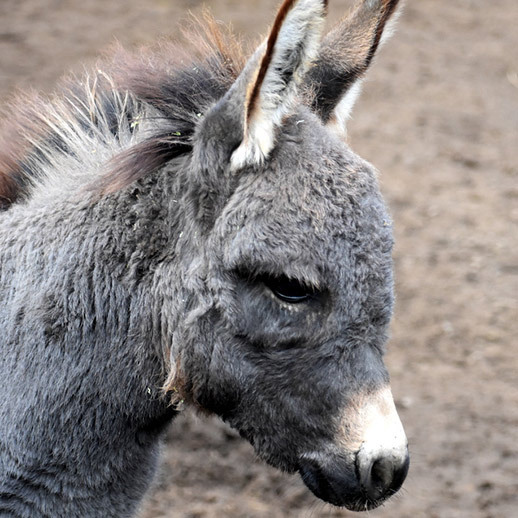 use to determine a treatment plan for our donkeys. Learn how to maintain health, their lifespan, how to treat ailments, when to call a Vet., how to vaccinate and de-worm, the K.I.S.S. principle and more. The Jr. Vet. Baby Burro Week is taught by an Oregon State Certified Teacher. Please bring a sack lunch. For students going into 4th grade up to high school. 18 students max. $249 per student. $48 for the bus.